“Belt and Road” refers to the land-based “Silk Road Economic Belt” and the seafaring “21st Century Maritime Silk Road”. The routes have been traditional trade routes connecting many old civilizations and countries across Asia, Europe and Africa, which promoted the growth and development of many countries in yesteryears. With industrialisation and the rise of western nations, these routes have declined in importance and the countries along these routes have seen decades of slow development and conflicts from cultural and religious differences. The term “Belt and Road” has been widely used within the business and education sectors for many independent programmes and initiatives related to these countries. They have genuine needs for quality human resources (from a UWC education to their young people and the potential networking of 60,000 UWC graduates) and for a sustainable path to economic development. 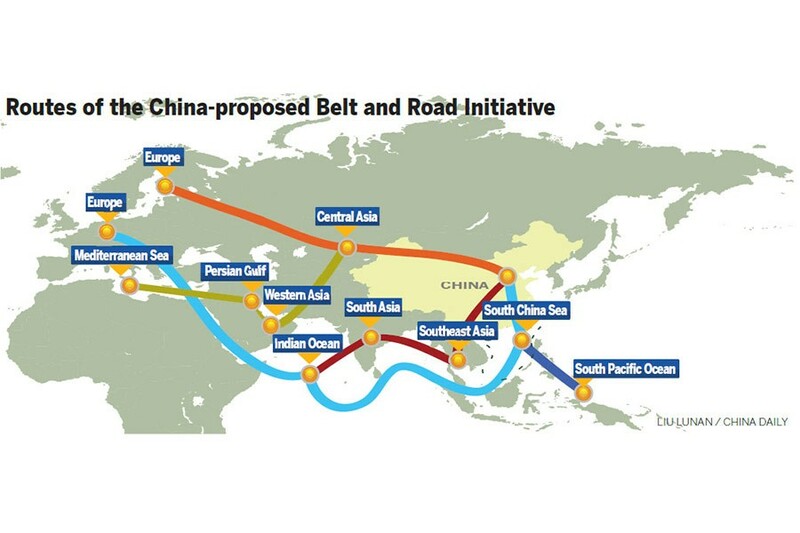 The term “Belt and Road” was also used by the President of the People’s Republic of China Xi Jinping in September and October 2013 and since then to promote the Belt and Road Initiative (BRI) which has a vision to help the region develop economically, financially and socially through a range of cooperative measures. By using the same term, LPCUWC is neither explicitly nor implicitly supporting the Chinese government initiative. We are committed to UWC’s long-standing policy of political impartiality. With its Belt and Road Resources Centre LPCUWC is seeking to make a contribution to the sustainable development of the region in the spirit of the UWC mission. The Centre and the related programmes will focus on peacebuilding, economic empowerment, alumni reinvigorating, NC connecting and youth empowerment more generally to promote positive action. The whole idea is a platform to showcase what UWC youngsters are capable of helping the needy and marginalized. Our discussions with a principal think tank of this Centre in the past months also reflected the need to help non-LPC students to get to know these great countries and old civilisations. There is a genuine need for B&R awareness among Hong Kong students, this theme resonates with donors and schools. The College celebrated its 25th Anniversary last year and has been in full force working on a number of initiatives including the Belt and Road Resources Centre under the overarching strategic theme ‘Breaking Boundaries, Building Bridges’. There are also other initiatives underway including one on “Sustainability” which will be shared with our internal and external community going forward. The donation from Lee Shau Kee Foundation will be used solely for the establishment of the Resources Centre. The work will involve re-arrangement and re-development of our library and classrooms in the Academic Block. The work will also involve an upgrade of current College facilities involved. We have NOT received any funds or any instructions from any government or the donor to do or not to do certain things in the College or at the Resources Centre. Participating students will continue to freely and openly express their opinions in political, social, cultural and religious issues as our students have always been doing on campus. A task force including the Principal, members of staff and students has been set up for the establishment of the Resources Centre and alignment of the subsequent design and implementation of the programmes at the Centre with UWC mission and vision. The Resources Centre is scheduled to open in autumn in 2019. A more detailed plan on the Resources Centre and its programmes will be communicated to our community. Find the response from Brian Kern here. Although the events are revolving unreported, the consequences and the impact on the lives of refugees is immense. This article is dedicated to my younger brother. In the United States, prescription painkillers like OxyContin have been excessively produced, advertised and prescribed across the nation. This has led to a sharp rise in the number of opioids, and subsequently, heroin deaths in the nation as addiction fuels drug abuse skyrockets. Communities have seen their youth dying at the hands of these drugs, but in 2018 27 states brought pharmaceutical giant Purdue Pharma to court with lawsuits in relation to false advertisement and the drugs’ deadly consequences. Step by step, ndanke ndanke, we can eradicate micro-machism and appreciate the job that women do. We live in an era in which our information is all saved, stored and spread digitally. The slightest breach could break way to major upheavals of our personal data and secret lives. Our generation has grown blind to our online presence and image, and must begin to consider the privacy and security of our data from prying individuals and powerful corporations.